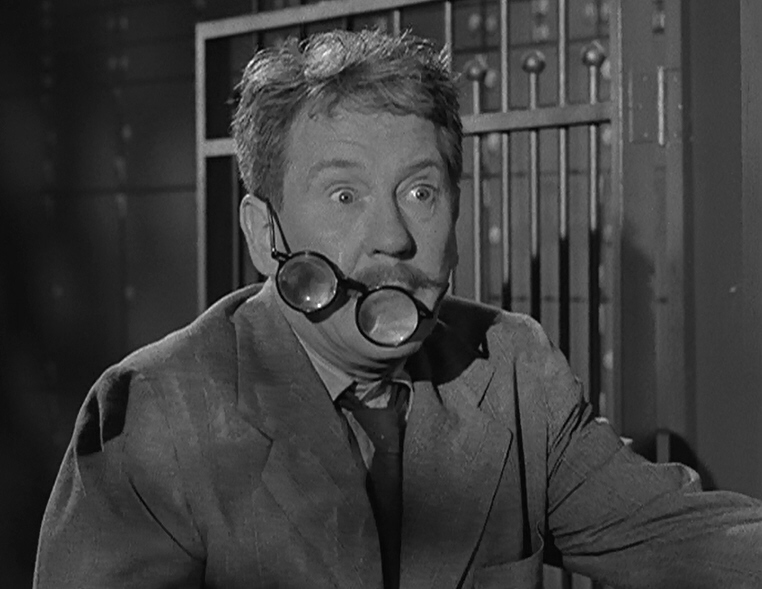 Of all the episodes of The Twilight Zone, perhaps none has left more of a mark on viewers than “Time Enough at Last.” The episode that struck fear in the hearts of book-lovers everywhere — and inspired horrified glasses-wearers to opt for a back-up pair — turns 55 today. He had just seen some rushes of the show, which made him very enthusiastic. He said, ‘Hey, you’re wonderful. 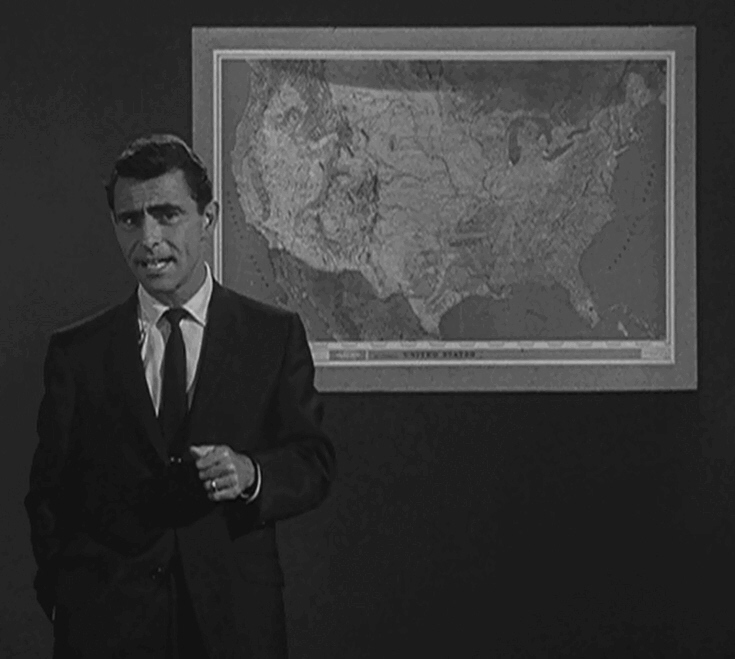 Let’s do more shows with you.’ After that, Rod wrote a Twilight Zone for me each season. Our relationship wound up lasting a long time. And of course, later in our careers, we both did a lot of voice-over work. Most people can decide for themselves whether or not to watch an address by the head of their country. 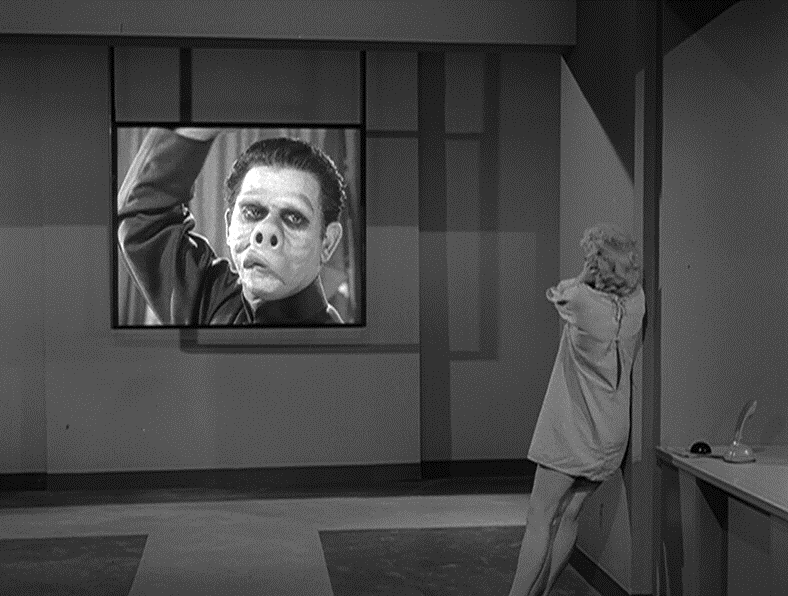 The unfortunate residents of The Twilight Zone‘s “Eye of the Beholder” aren’t so lucky. I’ve described in a previous post why I consider this Rod Serling’s finest work. But on this 54th anniversary of the episode’s first airing, I wanted to highlight the full address given by “Leader” in the climatic scene. It’s Election Day, and I’m here to ask you to pick between a couple of dummies. Oh, wait — this has nothing to do with the people running for office in your state or county. But I can understand the confusion! 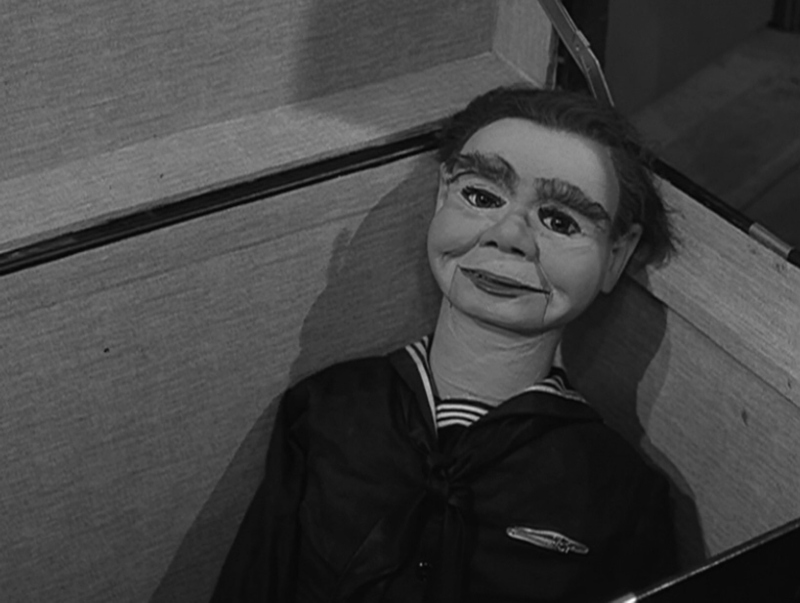 No, I’m asking you to pick your favorite of the two ventriloquist dummies that appeared on The Twilight Zone. 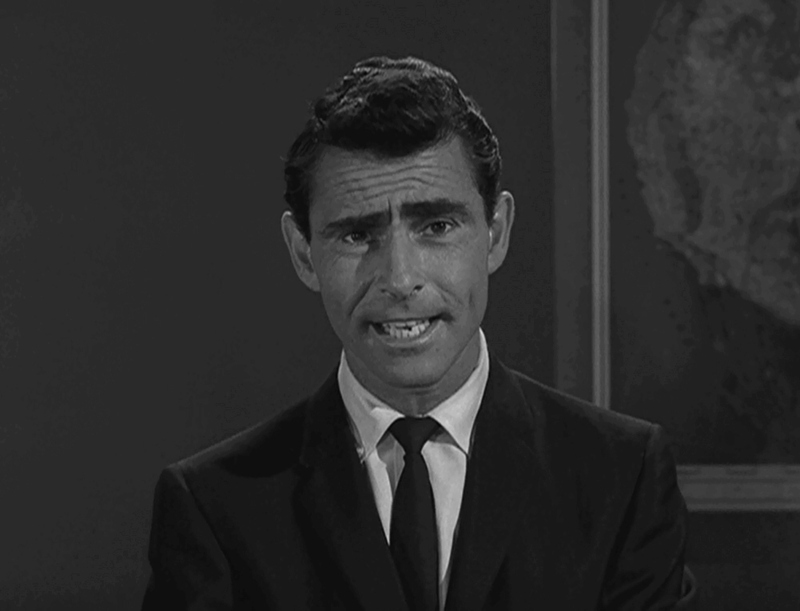 The boundaries of the Twilight Zone may be limitless, but the same can’t be said for a TV show. Rod Serling, like any other writer, had to edit himself. Tonight’s story on The Twilight Zone is somewhat unique and calls for a different kind of introduction. This, as you may recognize, is a map of the United States, and there’s a little town there called Peaksville.